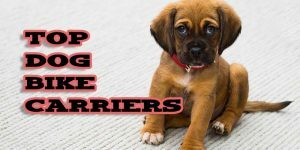 If you consider your dog your companion and a part of your family, you will always want it to be around you, and sometimes you need him blocked off from certain areas with an indoor dog gate. Pets make us happy when we are sad and engage us in activities inside and outside the house. However, there comes a time when you are too busy to watch what your dog is doing. 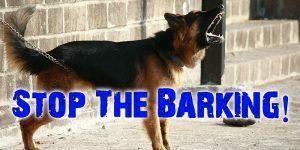 This exposes your dog and your entire home to potential danger when you are not aware. 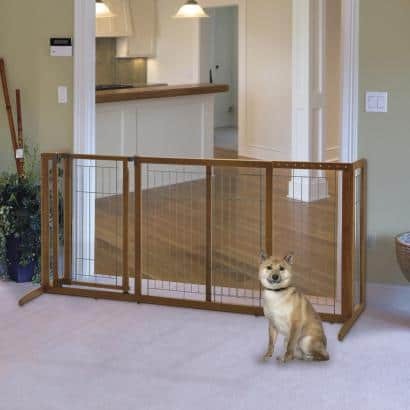 To avoid all that, you will need an indoor dog gate for your pet. There are two styles of gates: there are those that are pressure-mounted and those that are hardware-mounted gates. Pressure mounted are common in most modern houses and are used between rooms to keep your pet in an approved area. Home owners are advised not to use them at the top of stairs since they can come loose when pushed. Hardware-mounted gates are suitable for use on stairs since they can be securely mounted into walls or banister. You can also get free standing gates that don’t require any sort of mounting. 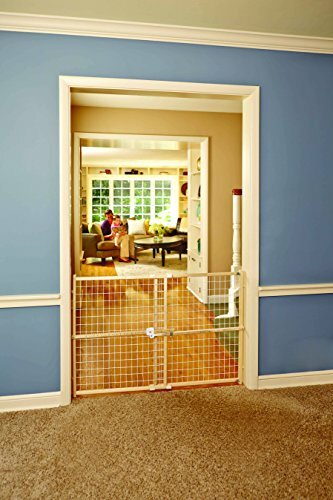 let’s have a look at top 5 most popular indoor dog gates for the money this 2019. If you have a tight budget then you should consider buying the North States gate. With its anti-scratch feature, it comes with rubber bumpers that prevent damage. It is also made with a sturdy wood frame and surrounded by vinyl-coated wire mesh panel to add some style. You can adjust and fix it in a 29.5 to 50 inches wide space. It is also 32 inches high so it’s easy to step over. For convenience, it’s an easy to assemble device since it uses a pressure mounting system. So there are no tools or skills needed. 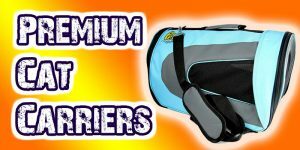 The mesh allows your dog to enjoy action on the other side without taking part. 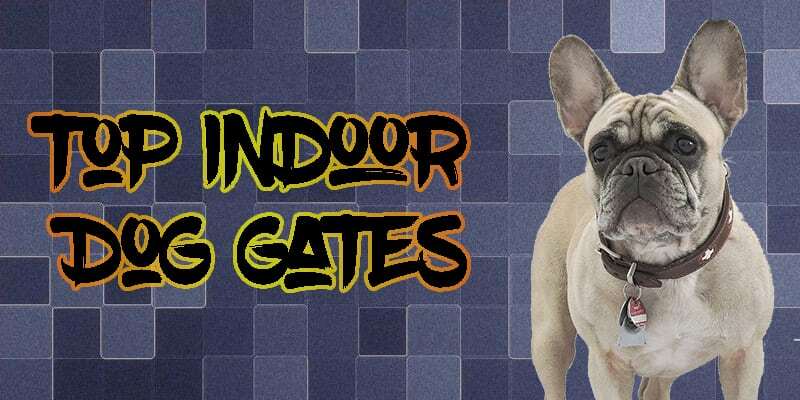 It is also one of the most affordable as compared to other indoor dog gates out there. It has no extra door and there is no other easy way to open. This is one of the top gates you will find out there. What makes Richell Sitter stand out from the rest out there is that it is a quality dog gate that’s made of wood and metal. Dog owners will love its miniature door fitted within that can be opened and shut. Since it is an indoor dog gate, its appearance has been prioritized. So the wood and autumn matte finish have been done in a way that it matches multiple decors. This also happens to be one of the most durable gates made of metal and polished wood. So what you get is a reliable product for any type of dog, even stronger ones. Richell Sitter is also easy to assemble and you don’t need a technician to do it for you. It has a tension-mount design that makes it easy to put up. The adjustable sizing is also a bonus for the owner. So the gate can fit spaces between 28.3 and 41.3 inches wide. If you are looking for a dog gate that’s easy to step over and you don’t have to go round, then this is what you need. With a height of 21 inches, it will be easy to step over making it convenient to have around. It comes with stoppers and rubber bottom that help protect your surface. Dual direction is another aspect that makes functionality of Richell quite efficient. It opens in both directions. So there is easy movement in any direction. The Richell Sitter has been constructed in a way that it gives the owner some peace of mind. For instance, if you are conscious of the dog security then you will love the lockable wire that comes with this gate. It adds extra security or gives you options to let your puppy pass through it easily. There is so much about this Richell gate that makes it people’s favorite. For instance, a tension-mount design makes it stand out. It allows easy installation on doorways or hallways. So it keeps your dog confined just where you need it to be. You can also move freely with it around you as it is low enough. You can step over it if you wish. So it is convenient if you have house with limited space. The biggest advantage you stand to enjoy is the fact that it has a lockable door. So you can open it at will and have your dog pass through specific areas you want, at your own discretion. So you don’t have to take apart the entire gate just to let your pet through. 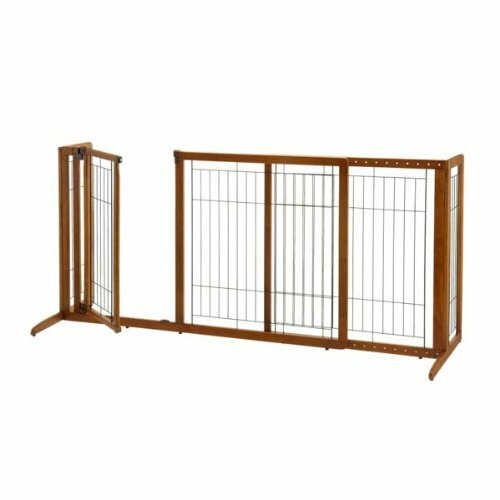 You also get a sturdy and durable product in Richell pet Sitter gate thanks to the metal and wood construction which are high-quality. This may not be the best for bigger pets as it is only recommended for small pets that weigh between 6.5 to 17.5 lbs. So bigger pets kept on the other side will easily jump or in some cases step over. The other drawback is that it is only designed for indoor use. So if you intend to use it in the outdoor, it may not offer the best services. Are you looking for a better way to protect your dog from wandering into areas of your home that may not be safe? You should then consider Carlson Gate. This is all steel and works perfectly as expected of it. It has an expandable feature. This includes two extensions that allow it to reach any width a home owner desires. So it goes between 29-44 inches with a height of 30 inches. It also comes with multiple doors. 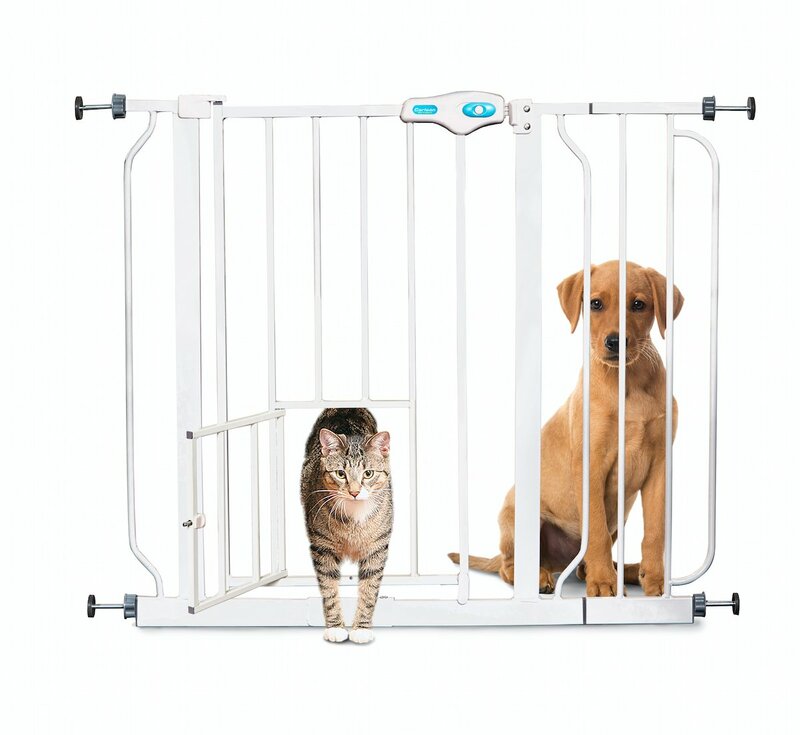 It features a smaller door (10 x 7 inches) which allows pet owners to keep smaller pets like cats enclosed. So it also keeps larger pets out. 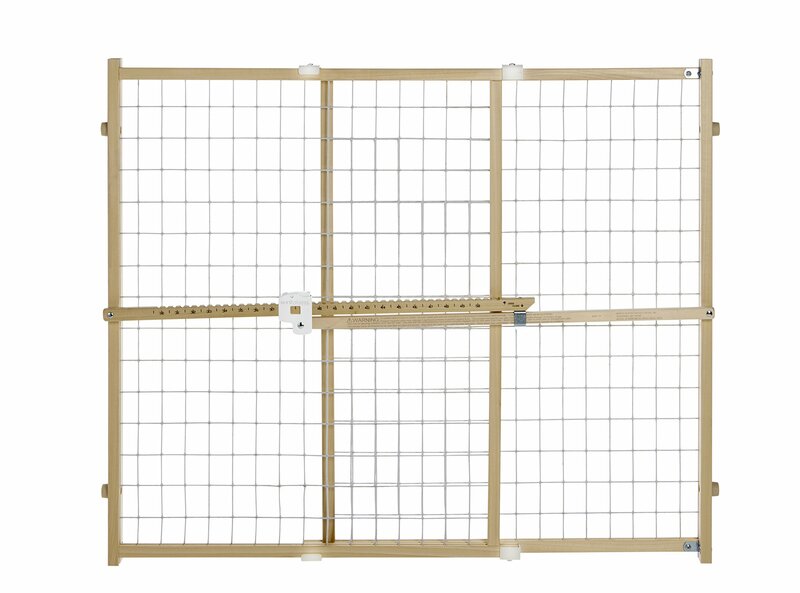 If you are looking for efficiency then Carlson Extra-Wide Dog gate is what you need to have. It includes a one-touch handle which makes the door open quite easily. So it allows you to seamlessly move around. The other features that make Carlson a must have include pressure-mounted system which makes it easy to install. The steel also makes its stand out as a durable and sturdy product. It is made from non-toxic, lead-free and chew-proof steel—so what you get is nothing but quality. Richell is known to produce great products and it didn’t disappoint with this gate. 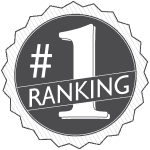 There are many reasons why Richell Deluxe is customers’ favorite. What makes it stand out is its beautiful structure you can always adjust to wide hallways. The extra sizing is a plus. So the adjustable sizing can fit almost anywhere to make it efficient for any type of room. So if you have a doorway opening that’s between 61.8 and 90.2 inches wide, Richell Deluxe is what you need to have. Plus it has a height of 36.2 inches which covers a huge expanse of area. To add some functionality to its unique style, the Richell has a walk-through door. So it can open in to allow you to easily pass through while you still keep your pet secure. The door is also easy to set and very safe because it opens in both directions and automatically locks. For maximum security, it locks at both bottom and top. The fact that it fits larger than normal hallways means that anyone can have it regardless of size of the home. It is also durable thanks to its long-lasting hardwood it is made from. Its matte brown finish adds style to it. Since Richell Delux is a free standing gate, you can always move it around the house and create ideal space you want to confine your dog. The ease of assembly is another advantage that makes it popular. You don’t need an expert to do it. All you need is a screwdriver and you will be able to put it up in a few minutes. 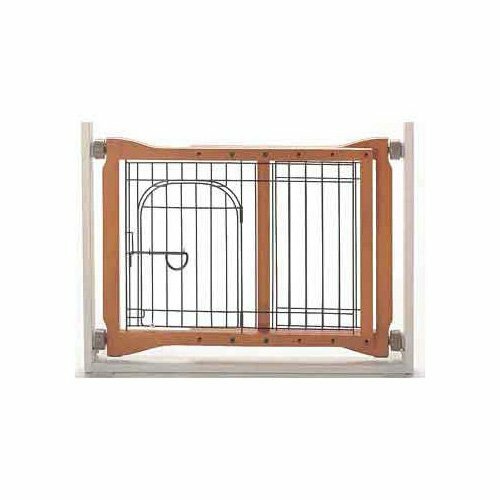 The main drawback that comes with the Richell Freestanding Pet gate is that it doesn’t come cheap. Remember it is a durable, high quality and elegant gate. It is also larger than most gates in the market. So if you have a limited space in your house, Richell may not be the best for you. 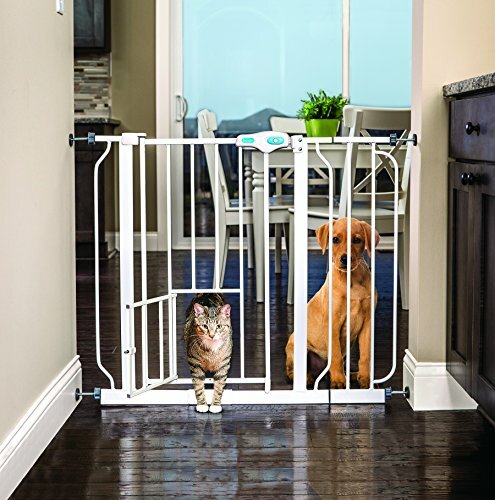 The Evenflo soft gate is a multi purpose one pet owners should have in their homes. It is intended to serve as a baby gate but you can still use it for your dog if you so wish. It is wide enough than most gates out there and this is what most people look for. Its design is what allows you to fix a variety of places and openings. Something else that makes Evenflo Soft ideal for indoor is its anti-damage. The bumpers will help prevent damage to your room. It is also easy to install. You will not need any tools to install. It is pressure-mounted so it’s easy to set up. The size is also ideal for owners who have bigger pets because it can expand from 38-60 inches wide. It is also 27 inches tall. Unlike most gates, Evenflo is affordable. Unlike most gates out there, Evenflo Soft doesn’t feature any lockable door for the dog to pass through. So you will have to lift your dog over when you want to take it out of the room.